8 billion people in the world, and counting, with each one of them, having their own story. How interesting? As someone who loves stories, I would love to listen to each one of them (Am I a good listener?) and know their way living. Well, maybe i cannot do all, but at least I would like to touch the surface of the cultures present in the world, and the stories related to them. The structures, the monuments, the eating habits, the cuisines, the fashion, the way of clothing, the way of living, etc.. in short.. the story behind them. This is what traveling opens your eye to! Why is it important to travel? Well, no it is not important. No one puts you on a gun point and forces you to travel. No! That would never happen. But travel you should. Why? Traveling is an experience that provides one with a welcome break from the same old monotonous and hectic schedule of the day to day life! Different places, offer different cultures and traditions and diverse ways of living. These varied lifestyles, and habits of people, gives one an opportunity to take cue from them. Traveling allows you to enter an altogether different world which in a unique experience in itself. Traveling helps you discover yourself, by allowing you to spend time with yourself, know about your strengths and weaknesses and do a self-introspection, away from all the worries. Also, an unfamiliar environment provides a feeling of mystery to explore new things at every upcoming step. Traveling is like reading a book! Travel is full of pleasant surprises and discoveries. 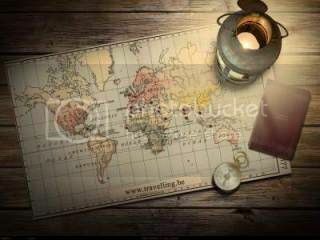 Travel is all the more important in the present globalized village world, where international trade and business become more important, and well the world is your market place. As said in FMCG Sales, you need to know your market very very well, and only then would you be able to sell. It’s through travel, first and foremost, that we meet and understand the outside world. We can read all about other countries in papers and magazines or see them on television, but it’s remarkable how different places turn out to be when you actually visit them. The media feed us scare stories about those in other countries, but the reality is that most people in the world are searching for the same things we are – a better life, a better future for their children – and they’re only too ready to lend a hand to a fellow human being. So, now with the vacations season kicking in and everybody is queuing up to plan their next outing, and with radio too vying for some limelight (http://www.afaqs.com/news/story/33888_92.7-Big-FM-introduces-travelogue-format-in-radio ), I think this was the right time, to enlist this tab on my Sphere! What more you waiting for? Get on to your copy of the Lonely Planet handbook, and get going! See you there, on your next trip!